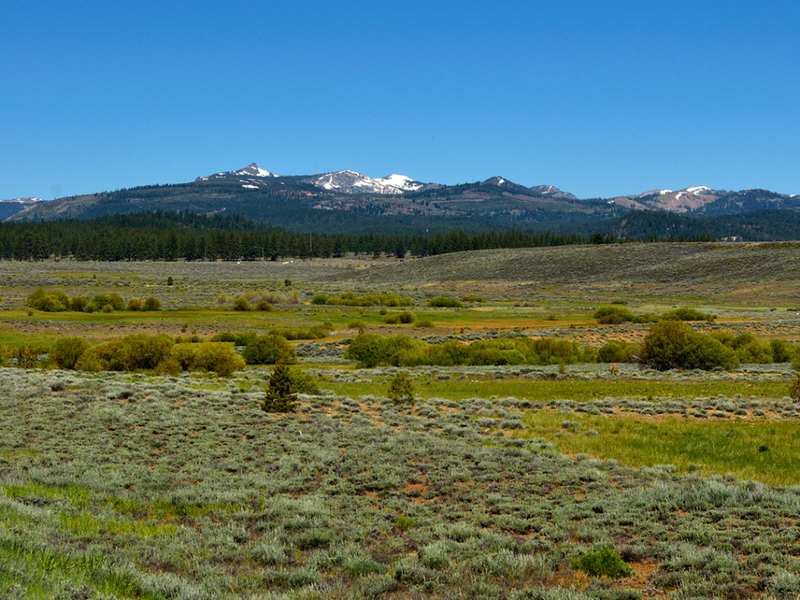 Located just outside of Truckee, this wildlife preserve is a great place for a quick trail run. Moderate trail run with uneven ground and some elevation gain, relatively short distance. 45 minutes to an hour, depending on runner's pace. Snow makes this trail head inaccessible in the winter. Pick up after your pet and don't leave poop bags along trail. Waddle Ranch is a protected wildlife preserve and historical area. Trail runs through the ranch feature uneven terrain and a moderate elevation gain, making this conveniently located hike a favorite among locals and visitors alike. Located on a historical ranch that was family owned since the 1850s, Waddle Ranch boasts almost 1,500 acres for trail runners to explore. Keep your eyes peeled for the flora and fauna that are this area’s claim to fame. Beautiful wildflowers dot the creek side in late spring and early summer and you’ll see a variety of birds throughout the preserve. You might even spot a bald eagle or two. A popular 6 mile route to take begins on Erika’s Trail, which climbs up to Beacon Meadow and offers amazing views of Martis Valley. Head north on Sawmill Road to Lake Ella, where you will turn east on Katy’s Walk to to Megan’s Trail. This will lead you back towards Sawmill Road where you will connect with Matt’s Trail and back down to Martis Dam and the trailhead. The trails within the Ranch take you up out of the rugged shrubbery of Martis Valley and into the wooded hillside, making this an entertaining run with enough variety in scenery to keep things interesting. You’ll catch glimpses of the snow capped Sierra peaks on your run, so don’t forget to take your eyes off the trail below your feet and enjoy the view every so often. Trailrunners who can comfortably run 4-7 miles will love this area because it offers a good workout and even better views. It is easily accessible and located just outside of Truckee towards Lake Tahoe. Remember to factor in the high elevation of this run if you aren’t used to running in the High Sierra. From Interstate 80, take State Route 267 North from Truckee. Turn north onto Martis Dam Road and continue to the parking area at the intersection of Glider Port Road and Martis Dam. Cross the dam on foot to reach the trailhead. The trail will be snowed in during colder months, making spring, summer and fall the most ideal times to run this route.